While we're working on bringing you the latest news from Ibiza 2017, please enjoy some of our classic interviews from the Love Ibiza archive. 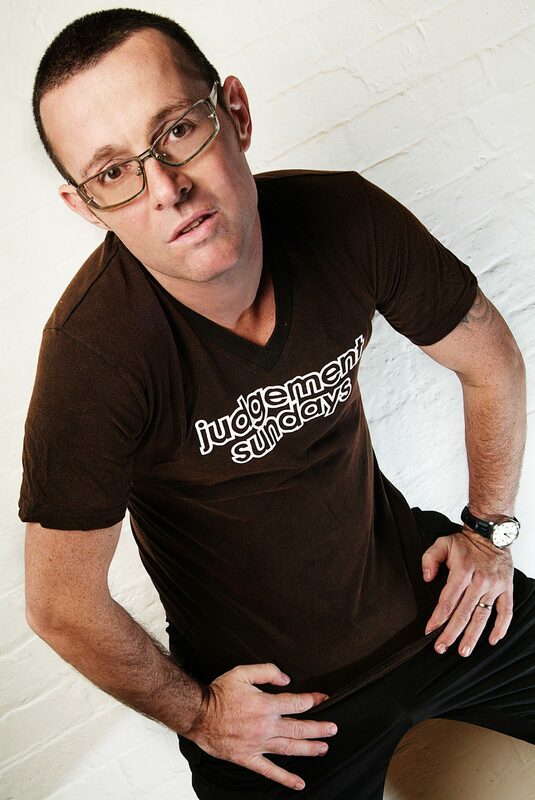 With only a few days left until Judge Jules takes to the decks at the Judgement Sundays opening party at Eden, we caught up with him to get the inside scoop on all good things to come! Not only keen to address the exciting line-up at Judgement Sundays this year, he talks of his love for Ibiza, his predictions for Ibiza’s 2011 summer smash and gives us insight into the emerging talent we should be taking notice of this year! Love Ibiza: Judgement Sundays is now in its 12th season, can you give us any insight into what we should expect from the nights in 2011? Judge Jules: This year is one of best line ups so far and we’ve some fantastic guests confirmed up such as Ferry Corsten, John O’Callaghan, Simon Patterson, Krafty Kuts and many more. Also, the thing about Judgement Sundays is that our events are like one big theatre show. The madness of the party hits you from the moment you walk through the door. We pride ourselves on the entertainment that goes around the music and spend so much money ensuring the experience of the night is one you’ll remember. You have a legendry presence at Eden in Ibiza, what is it about the club that keeps you coming back year after year? For what we do at Judgement Sundays Eden is the perfect venue. I’ve known the owner of the club for a long time and when I was asked if they could speak to me about the development of turning what was The Star Bar, which was always viewed as a pretty naff venue into a big super club, I was delighted. We’ve had some many incredible seasons under the Eden roof, that I really can’t see Judgement Sundays being anywhere else but in its spiritual home of Eden/San Antonio. I’m very proud to be part of the clubs growth over the years. Over the course of the summer at Eden you will be joined by loads of top DJ’s, such as Eddie Halliwell, Ferry Corsten and Marco V. Can you tell us who you look forward to sharing the decks with most in Ibiza? We’re very excited to welcome back Ferry Corsten & Eddie Halliwell to the main room plus a massive plethora of great new artists. The list of DJ talent is almost endless and I’m looking forward to sharing the stage with each and every one of them, both in the front and backroom. Judgement Sundays has also always been about the ‘show’ and this year we have some great new entertainment. So for sure it will be all the usual madness and a kicking atmosphere. Judgement Sundays has a reputation for supporting emerging talent, which artist or DJ you are most excited about this year? That’s correct – at the core of Judgement Sundays we are very much about pushing new talent. This year I’m looking forward to seeing all the new DJs we have playing performing at the club, all of these new rising stars are riding the success of a year behind them so it will be very exciting to catch them at Judgement Sundays over the summer. The likes of Ummet Ozcan, Arty, Claudia Cazacu and Matt Zo are just a few names people should keep their eyes on this summer. What tune do you predict the 2011 summer smash will be? I think the new one from Sean Tyas “By the Way” is one that will draw a lot of attention with both clubbers and DJs alike. You just played at the Radio 1 Big Weekend, do you expect the same reaction from the Judgement Sundays crowds in Ibiza? My set on that particular day was a little different to a normal club set of mine. However, the reaction from the crowd was every inch like a true Ibiza crowd; wild, enthusiastic and extremely loud in showing their appreciation of the music/event. You have a second home in Ibiza- how would you describe the White Isle in three words? Wild, Blissful and Beautiful – all at the same time. It is said that you receive around 200-300 promos per week from unsigned artists/ DJs. Do you have any advice to give to talented DJs wanting to break through on to the Ibiza scene? I think it’s important to go to Ibiza with an open mind, and given its musical diversity, try and check out some of the lesser-known nights. I think it’s important to gauge first what musical area you want to emerge yourself into on the island As a promoter myself I find it so important to keep my finger on the pulse, making sure you keep an eye out on new talent breaking through. A lot of new DJs start by playing at the warm-up gigs and lesser-known nights, where promoters often spot them and book them for their shows. What is your biggest inspiration as a DJ and what keeps you motivated? The crowd and my love of electronic music – I have the same passion for the dance scene today that I can remember having the first time I started going to raves. What can we expect from Judge Jules in 2011? Judgement Sundays Opening party is taking place this Sunday 5th June 2011.